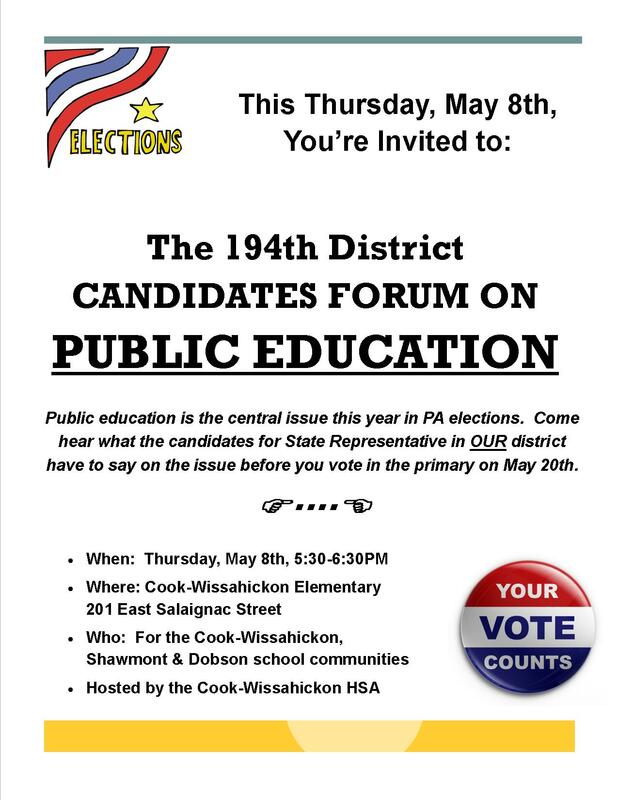 On Thursday, May 8th, the Home and School Association of the Cook-Wissahickon Elementary School will host a forum on public education featuring candidates running for state representative in the 194th district. Representative Pam DeLissio and Candidate Dave Henderson have both confirmed that they will attend. This forum is open to the school communities of Cook-Wissahickon, Dobson, and Shawmont Elementary Schools and will feature questions from students and parents for the candidates. The event will start promptly at 5:30 PM and end at 6:30, facilitated by student and parent moderators.